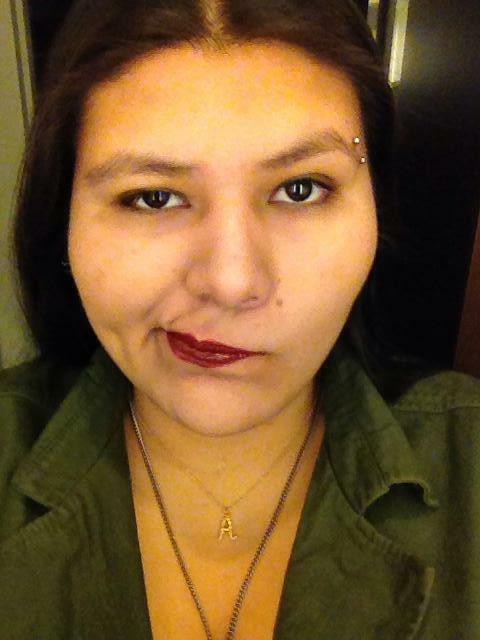 A Poem addressing White feminism from an indigenous perspective. I had a lot of anger at the actions of a self proclaimed feminist leader who was offensive to a person of color in front of a large group, and then refused to apologize. They said they’d “never” apologize. This woman was also organizing a protest, which she then cancelled for self serving reasons. She opted to meet with the people we were protesting against despite the feelings of many of the members of our group and at the end she didn’t fail to mentioned that she’d be looking for a job once she graduated at the end of this semester. Many of the details about this specific incident have been left out because this poem is not just about this incident, or this protest, or this white feminist. It’s about all white feminists who believe they are doing good for people of color while not listening to them. Judas becomes a good symbol for them. Another reason I used Judas in the poem was because after letting this woman know that her behavior was reflective of Judas’ actions, she decided to try “reclaim” the meaning by labeling herself “Judas” without even knowing the meaning. I’m no longer a part of that religion, but neither is this woman. As a person who went to catechism against their will, I was offended so I decided to include the bible verses in the poem to reference the real Judas which is obviously unknown to this white woman. As a person of color, I come across these types of people daily. But upon learning that this woman was trying to “reclaim” the meaning of Judas, I decided to write this poem to express my thoughts. Thank you for reading my poem. They called you that name because it fit. Selling out to a person in power in hopes of furthering yourself. You may have forgotten some important parts of his story. May have slipped your mind. Which has led to your own misguidance. Only in a different form. And even then they found people like you. You will regret listening to them because they are going to cost you everything. Hoping we can settle our differences before you betray the person who can save us. We all once thought you were one of those people that could help them save us. The term Judas has entered many languages as a synonym for betrayer. Is that a title you would bestow on yourself by trying to reclaim it? Saving his life and the holy child’s? Because you dismissed us we tried to educate you. Walked away uninterested in what we had to say. You refused to see us. Do you have any idea how much hurt you caused us by silencing our voices? And I told you that what you were doing was dangerous. And I asked that you pay attention to my opinions. I know you have heard of white privilege. You know you are marginalized too. Your privilege still exceeds mine. And your chances are terrifyingly high. People would look for you Judas. You could have fought for us. You didn’t see the race aspects of not apologizing when we said that you had offended us. You said that you had only “rubbed” us the wrong way. Why even call yourself a feminist if you don’t recognize the things you are studying in real life. The spikes piercing his wrists and feet are made of your ignorance. In exchange for 30 pieces of silver made of white comfort? My name is Aurelia Shippentower. I’m a Umatilla/Lakota person, who has lived on the Standing Rock Indian Reservation. Yet, I am enrolled in the Confederated Tribe of the Umatilla Indian Reservation. I’m a student at MSUM, in my second year. This entry was posted in Articles, Culture, Indigenous News, Opinion, Opinions From The Region and tagged indigenous perspective, JUDAS OF FEMINISM, White feminism. Bookmark the permalink.